Okay so now that I work a normal 40 hour work week job, this is such a huge thing for me. I am always trying to figure out new ways to make time go by faster. Yes, I love my job but obviously everyone would rather be back at home doing stuff that they need to get done around the house or spending time with their loved ones or even going out and doing the things they enjoy most. My number 1 tip is to make sure you avoid looking at the clock as much as possible. My job is a computer job so I am always looking at a screen and my eyes always wander down to the clock. I try to avoid looking at it but I can admit it, it's very challenging. However, I have noticed that when I am focused on my work and don't look at the clock that time goes by so much faster. But I do have to admit that this only happens on some days. For example, Wednesday's and Friday's, time basically does not move and I feel like I am going to be stuck at work forever. The fastest days for me are definitely Tuesday's and Thursday's, these two days just fly by for me and it is absolutely wonderful. My next advice is to make sure that you are keeping yourself busy as much as possible. If you work off of a task list then just stay focused and get your stuff done. With that being said, make sure you aren't working too fast though because you don't want to finish with your tasks and there still be 3 hours left at work with nothing else for you to do. You also want to make sure that you are taking your time and not making any mistakes. Another way I keep myself busy is by interacting with my coworkers. We don't really have any rules that says we can't talk during our shifts and sometimes our supervisor will come over to us and tell us about her personal life for like 20 minutes. So if your work allows you to be social with one another then make sure you are engaging in conversations but also make sure you are still doing work. It's okay to turn around and talk to each other for a few minutes but you don't want to make it seem like you aren't working. You are getting paid to work not to talk! 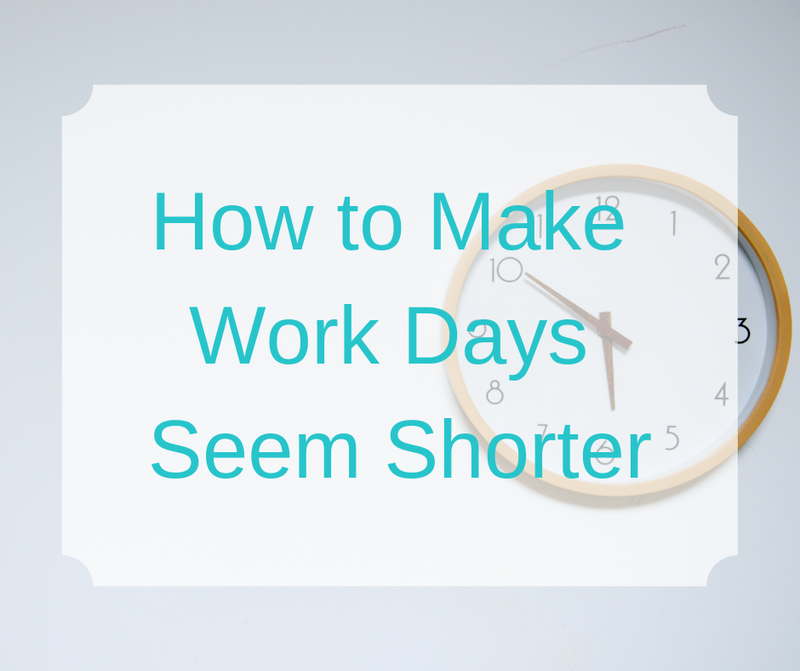 Another tip is if your work allows two 15 minute break then you could definitely take them. They will go by fast but if you think about it, then that's 30 minutes total a day that you are doing something you enjoy doing or taking a break from doing something you might not love doing. I personally don't do this because I usually never know what to do during these breaks but there are quite a few people I work with that make sure they take their 15 minute breaks. I also recommend that you find a little joy in whatever it is that you do for a living. If you absolutely hate your job then your days are going to drag on! They will seem like they are never ending and you're just going to keep hating your job. Also, if you really hate your job then I highly recommend that you either talk to a supervisor and discuss this with them and see if you can come up with some kind of solution or if they have any advice. Most companies force their supervisors to have an open door policy so technically you are allowed to speak freely with them about whatever you want. If you guys can't come up with a solution then it might be time to start looking for another job. I hope you guys enjoyed this post and happy Monday! May your day just fly by so you can get back home to your family! That stinks that Friday is one of the day's that drags! Right before the weekend!